SMART Highways editor Paul Hutton has explained some of the technology behind all lane running smart motorways on a BBC Radio Five Live programme examining their safety. 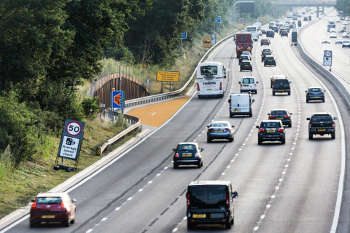 The programme featured a range of contributors who had been injured on motorways, with and without a hard shoulder, and referred to a call from MPs to stop the roll-out of all lane running. Paul explained the rationale behind smart motorways and the technology installed to improve safety, as well as explaining to listeners what they should do if they break down on one.